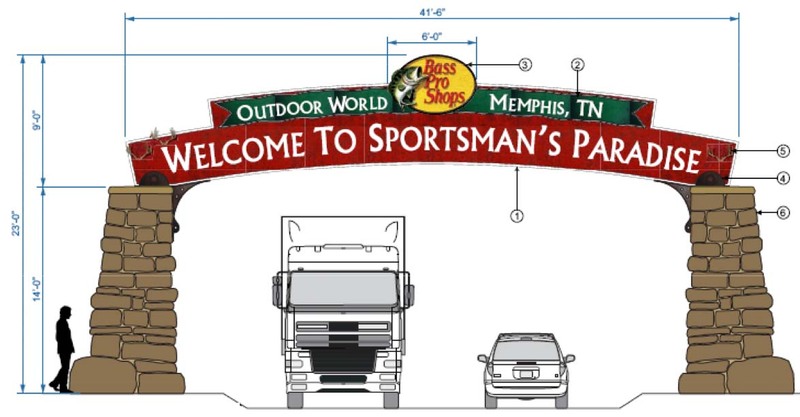 Friends for Our Riverfront: How BIG are the Bass Pro signs? 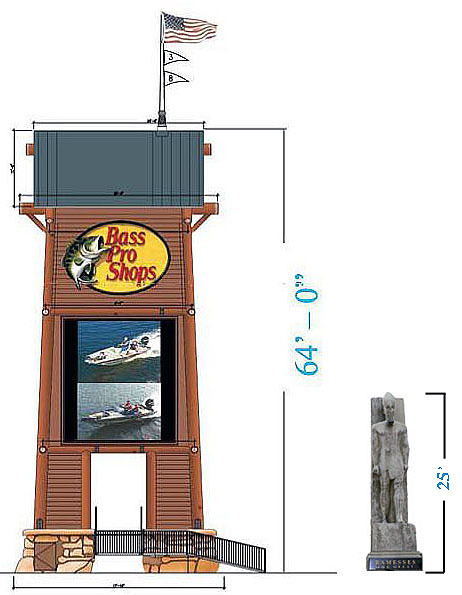 How BIG are the Bass Pro signs? They're BIG, and they're not just going on the Pyramid. Here's a map. Each logo sign is 66' x 90'. That's 4,169 square feet each; larger than most houses, and they are lighted. There are 4 of them, one on each side of the Pyramid. 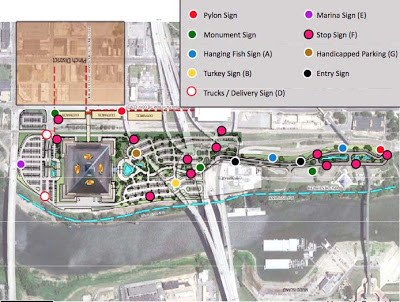 Each pylon sign is 64' tall (excluding the flags on top). 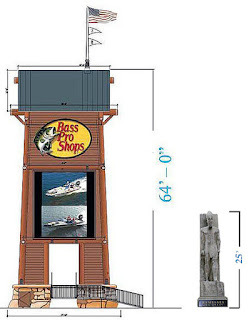 About the height of a 6-story building, they're 2 -1/2 times as big as the statue of Ramasses and taller than the head of President Washington at Mount Rushmore. There are 2 of them, and the screens are digital. The entry signs are 23' high and more than 41' wide. There are 2 of these. To see all the signs in the submitted sign application, click HERE. Design Review Board meets Wed. at 4 pm at 114 N. Main.